Step cut emerald cut diamonds appeal to so many people because of their understated elegance. 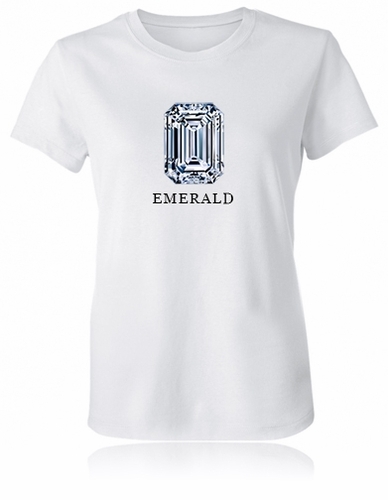 You can now wear this premium cut of diamond printed on an amazing Emerald Cut Diamond Shape T-Shirt from Ziamond. While the step cut emerald cut diamond has only 27 step facets, what people fail to realize it is a coveted shape because typically only very high grade rough materials of diamond must be used. Any imperfections and off color would be noticeable to the naked eye right away, so emerald cut diamonds are usually very expensive. Fans of the emerald step cut diamond are usually traditional, sophisticated, obsessed with cleanliness, organized, and disciplined. 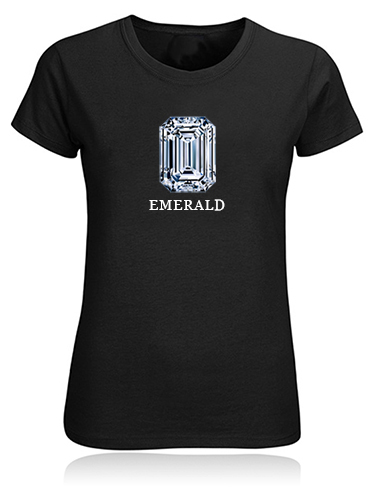 The Emerald Cut Diamond Shape t-shirt makes for an amazing gift for a friend or loved one who adores this cut of diamond or gem stone. 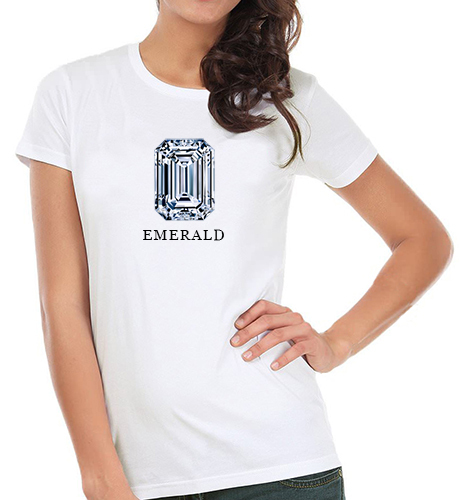 Each emerald cut diamond image is a high resolution picture printed with the most up to date apparel printing methods on super soft 100% cotton fitted ladies shirts. 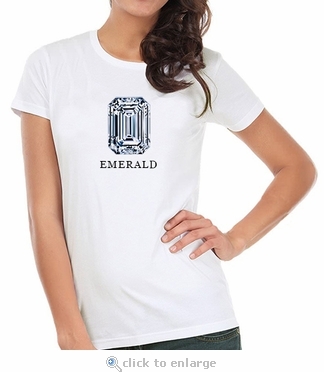 These t-shirts come in sizes small, medium, large, extra large and extra extra large. Available in white or black color shirts, but if you are looking for a custom color not shown, let us know and we look into it for you.